Adventures in Mobilizing a Library: Holding Plutonium in your bare hands! 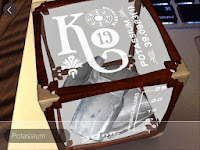 Holding Plutonium in your bare hands! I was invited in to a Chemistry classroom today, where we allowed students to handle some of the most dangerous chemical elements in their bare hands! That's right, no protective gear what so ever, except iPads and cell phones. 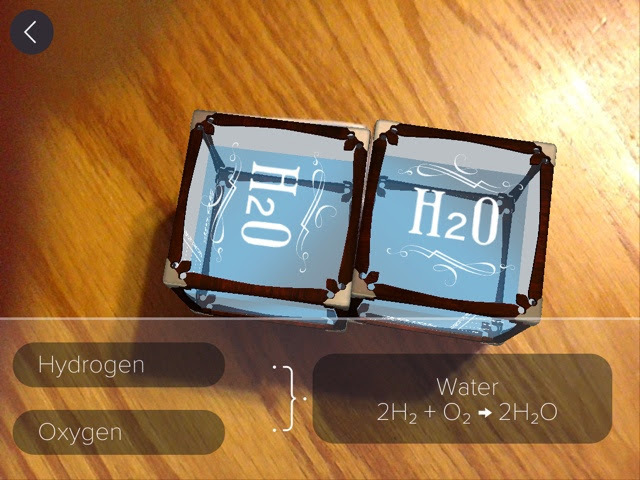 Elements 4D by Daqri is an Augmented reality app that allows students to explore 36 of the elements using their devices, and even see what happens when elements are joined together. When I asked the chemistry teacher which two elements would have the most violent explosion, he got a little nervous! I said, "Oh, I can't wait to combine those two in your classroom!" Which lead to a lecture on using the "explosion" chamber, and safety equipment, and how to use the fire extinguisher. Unfortunately, the app does not show you the explosion, but it does show you what is formed when the explosion is said and done! The students were a little disappointed by the lack of explosion as well. It was a very simple lesson, and students noted in a Google Doc what they learned about each element from the app, and what happened as they combined different elements. As simplistic as this lesson was, the engagement from students was remarkable! Who knew chemistry could be so much fun! (Ok, you probably did, but I sure didn't!) 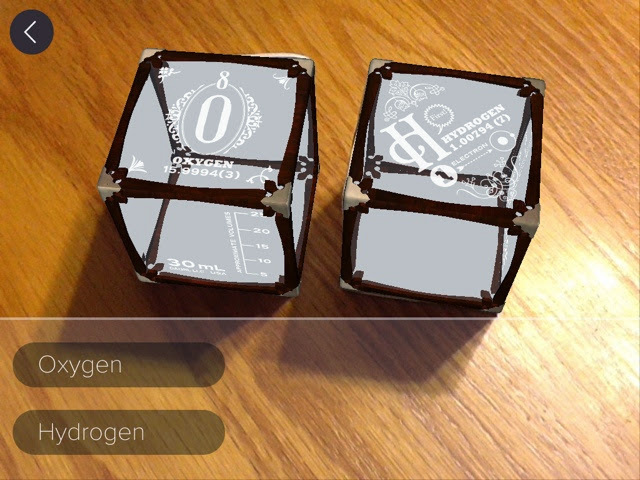 One student even quipped "I think I like Chemistry now!" 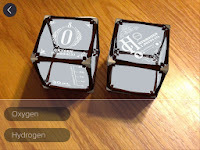 The app is not perfect, and our student would like to see more reactions (hello Iron and Oxygen! ), and more explosions, definitely more explosions, but overall it was a very engaging mobile lesson for the students.